Who said free fundraising ideas don't grow on trees? 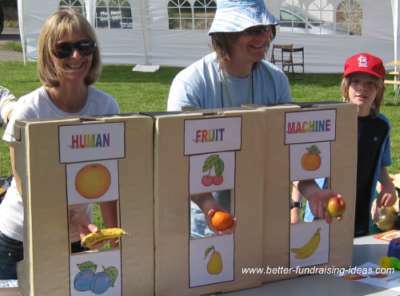 A Human Fruit Machine is one of those great fundraiser's that is simple, easy to understand, lots of fun and....... will make a nice profit. With a normal fruit machine competitors pay to try to match winning lines of lemons, oranges, pears etc. 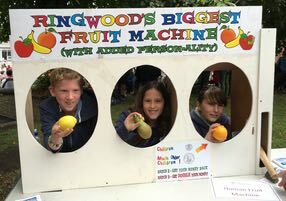 With a human fruit machine the same principle applies except the fruits are randomly pulled from a box or sack by the stallholder. As you can see from the example above you need at least 2 people (3 is usual to work the "machine"! 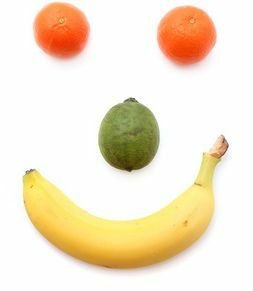 When the machine starts the operators will pop out a hand containing one of a selection of three fruits. If the fruits match you win a prize. The operators do not know what the others are going to pull out and the selection should be random. In practice a nod and a wink can produce three lemons for a lucky child! 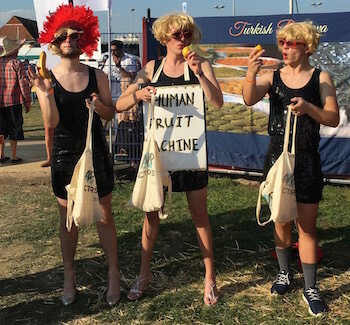 Human Fruit Machines can be as simple or as complicated as you like. 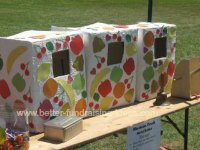 If you are after really simple fundraising ideas for your village fete three people sitting on chairs with the fruit in a sack or bag on their lap works fine. If you want to have a bit more fun though you can make you machine really elaborate. Decorations can be easily downloaded and printed from the internet. Certainly dummy buttons, levers, starting handles, hooters for the competitor to press or pull all add to the fun. They also encourage many more people to have a go. So don't go bananas looking for great fundraising ideas. Try a fruity fundraiser instead! 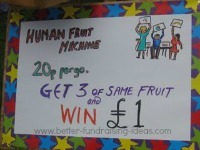 A Human Fruit Machine's a real winner!